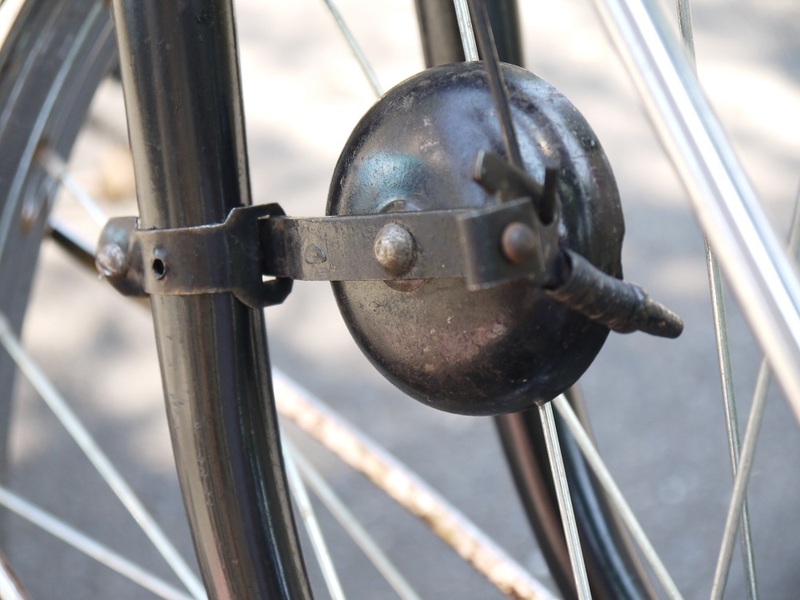 In the previous post I mentioned that I have written about bicycle bells in the past, with a focus on revolving bells, and we took a look at another kind of bell rarely seen today the cable operated spoke bell shown below. 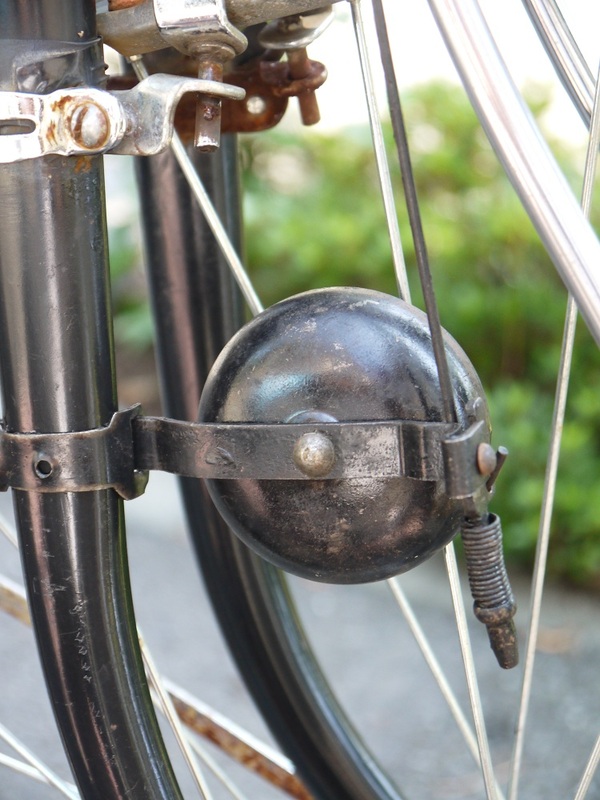 It was also mentioned in the previous post that just as rod brakes preceded cable operated brakes, so too did rod operated spoke bells precede cable operated spoke bells. 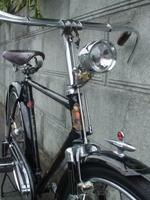 Thus, in this post we will take a look at a very rare rod activated spoke bell. 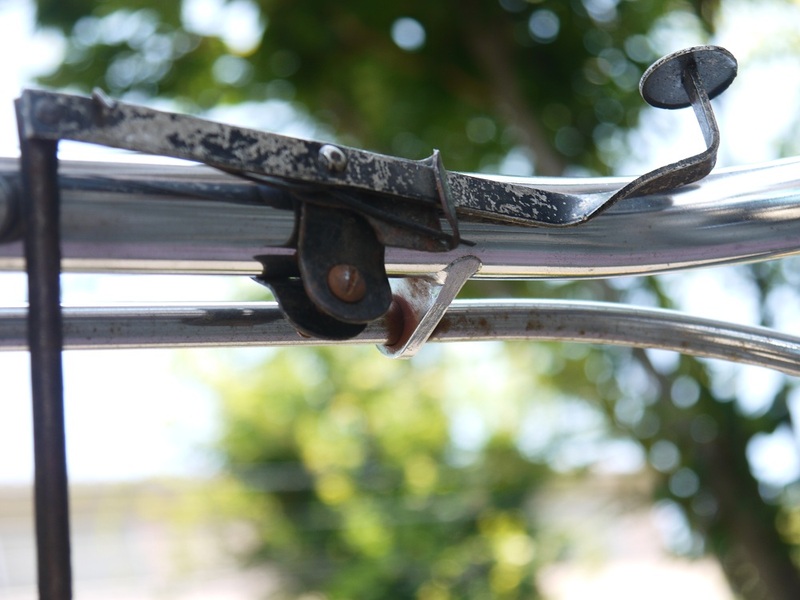 The basic opertion is exactly the same only instead of a cable, rod linkage is utilized. 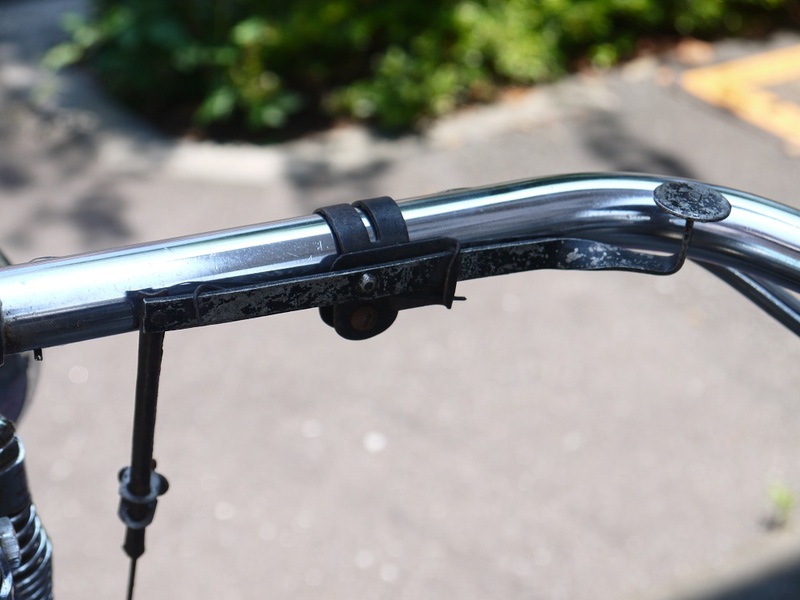 As can be expected, the mechanism, right down to the adjustment rod linkage, is ingeniously simple, yet functional. 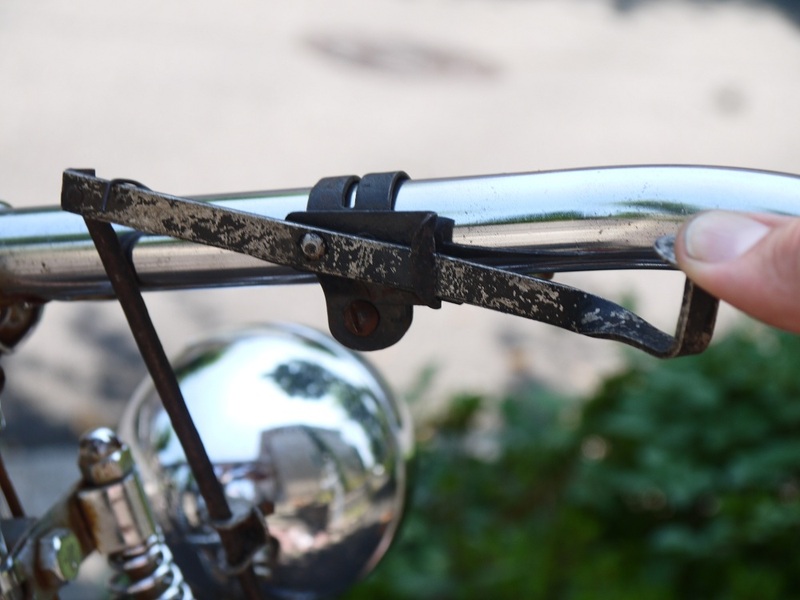 Note the rod linkage and the thin rod, at the bottom of the photo, which runs all the way down to the bell and is connected to the spring held clapper. 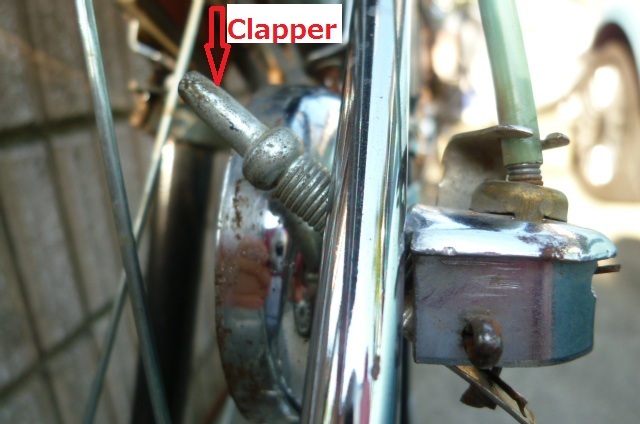 At the normal resting position the spring held clapper is away from the spokes. 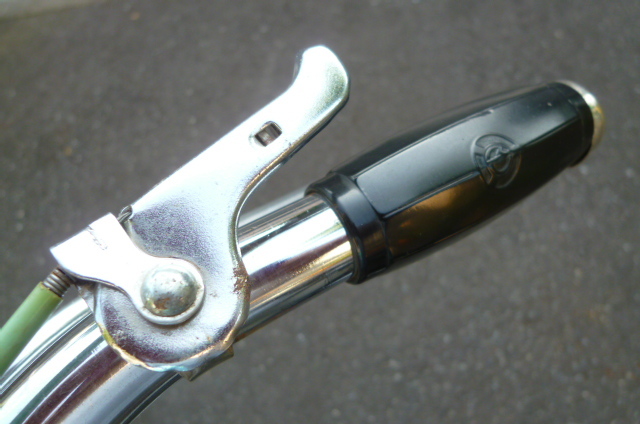 Note the rod attached to the spring held clapper. 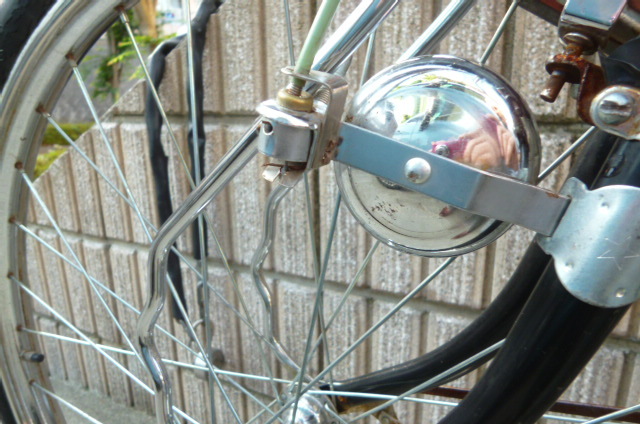 Pressing downward on the lever pulls a rod connected to the spring held clapper up and into the spokes. 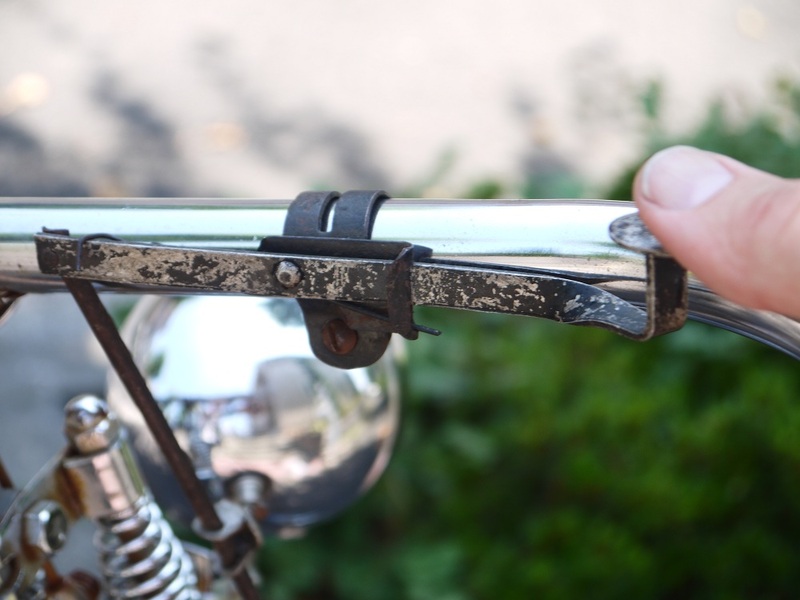 Simple, functional and effective. No cable stretch or adjustment to worry about. 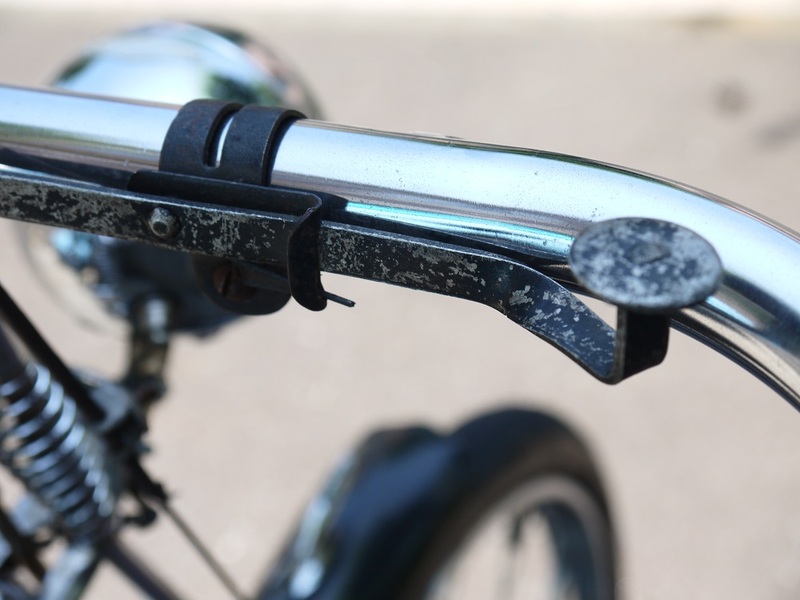 That is one of the things that I like about these old bicycles, not only are they strong and sturdy, but they are virtually maintenance free!